My Grandma just so happens to be one of the best people in my life. She’s gracious, warm, funny and lights up a room with her unique soul. She also is 80, does Zumba and line dancing, still gardens at 6am and apparently goes down waterslides face first. Gotta love her. My Grandma lived in New Mexico most of her life; I think she appreciates the dusty, dry beauty of the desert there. Her skin is golden year round and she’s rarely cold. Truth be told, I miss her often; however I am lucky enough to see her twice a year for a few weeks at a time. During the time we are apart, we stay connected by handwriting letters and sending photos of our recent recipe creations in the mail. On those days, mail days are simply the best. When I am able to visit, we spend a majority of our time cooking together. 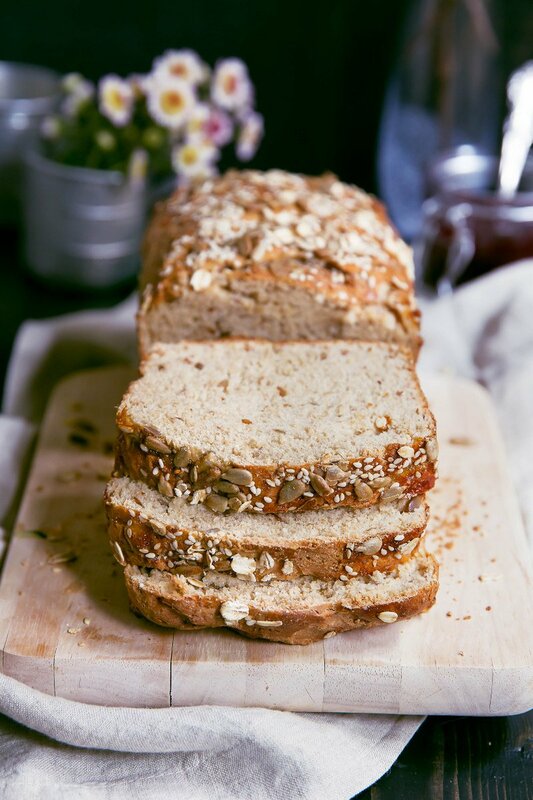 One of my most favorite recipes from my Grandmother is this Sunflower Oatmeal Bread made with whole grains, flax, sunflower seeds and a touch of honey. Each and every time I beg her to send me home with a loaf, but it just never seems to last long enough on my kitchen counter. This year I mustered up the courage to bake a loaf. For some reason, I forget that the art of bread making can be deliciously rewarding and nutritious. Plus, it really isn’t that difficult. All you need is a little time to yourself. Rainy days are always my favorite baking days. Basically I am in love with this bread from the bottom of my heart. It screams comfort and my breakfasts have been more satisfying because of it. If you get a chance, bake yourself a loaf. You won’t regret it. 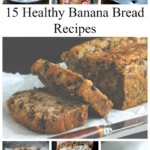 You’ll use white whole wheat flour. I haven’t tested it with regular whole wheat flour, but if you do, please know that it may be more dense. You also have the option of using regular milk or almond milk; I always use an unsweetened vanilla almond milk because it’s what I usually have in my fridge. Lastly, you can use either olive/coconut oil or butter. You’ll get great results either way. Oh and best way to serve this? Thickly sliced, toasted and spread with peanut butter. This isn’t really a sandwich bread, but more of a hearty breakfast bread. I hope you love it as much as I do! If you make this recipe, be sure to leave a comment below or tag #ambitiouskitchen on Instagram so I can see your creations! xo. My Grandmother's homemade Honey Oat Bread made with whole wheat flour, sunflower seeds, honey, oats and flax. Nutritious and wonderful toasted for breakfast. Heat milk in a small sauce pan over low heat until milk is warm (about 115 degrees F). Remove from pan, stir in oats, yeast and honey. Let the mixture sit for 10 minutes until yeast begins to foam. Next, stir in melted butter (or oil). Add in whole wheat flour, salt and cinnamon and mix with a spoon until a dough begins to form. Add in sunflower and flaxseed meal and gently mix into the dough. Place dough onto a well-floured surface and knead the dough with your hands for 8-10 minutes. Another option is to use the dough hook on your electric mixer to knead the dough (I prefer this method). Form dough into a ball and place in a large, oil-or butter greased bowl, turning the dough over to coat with oil. Cover with plastic wrap and a towel and allow the dough to rise for a little over an hour, or until doubled in size. Lightly butter or grease a 8x4 inch loaf pan. After dough has risen, knead it just a few more times (about 1 min) then shape dough into a loaf and place in prepared pan, tucking the ends in. Cover the loaf with plastic wrap and a towel and allow it to rise again for another hour, or until the loaf has risen to the brim of the pan. Once dough has risen again, preheat oven to 375 degrees F. Beat egg in small bowl and brush over the top of the dough. (Please note that you won't need to use all of the egg wash, but only a small amount.) Sprinkle a few more oats and sunflower seeds on top of the dough. You can also add sesame seeds if you'd like! Bake for 35-40 minutes or until loaf is golden brown on top and the loaf sounds hollow when tapped on the bottom of the pan. Transfer pan to wire rack to cool for 10 minutes, then remove bread from pan and place on wire rack to finish cooling for at least 2 hours. Do not cut the bread before it is completely cooled. Bread should be wrapped tightly and store at room temperature. 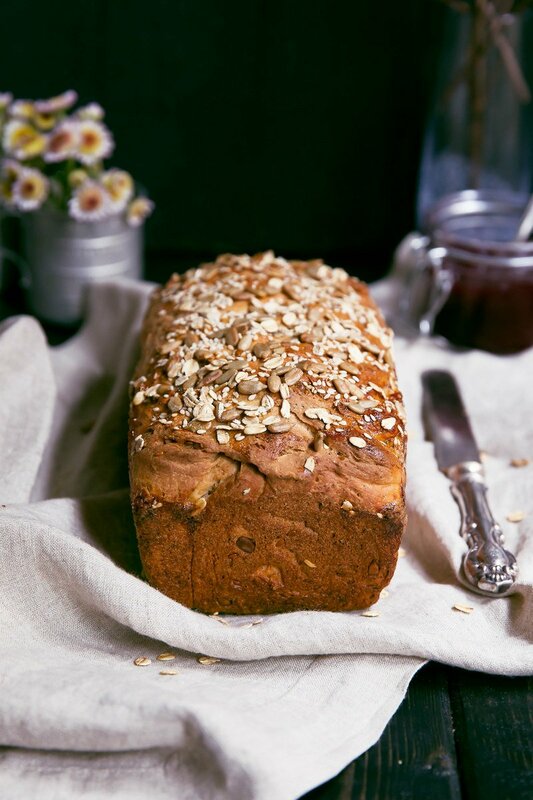 93 Responses to "Grandma’s Whole Wheat Sunflower Honey Oatmeal Bread"
this looks so hearty and delish! I could see myself making an epic PB&J with this! I want a THICK slice! This sounds so delicious. 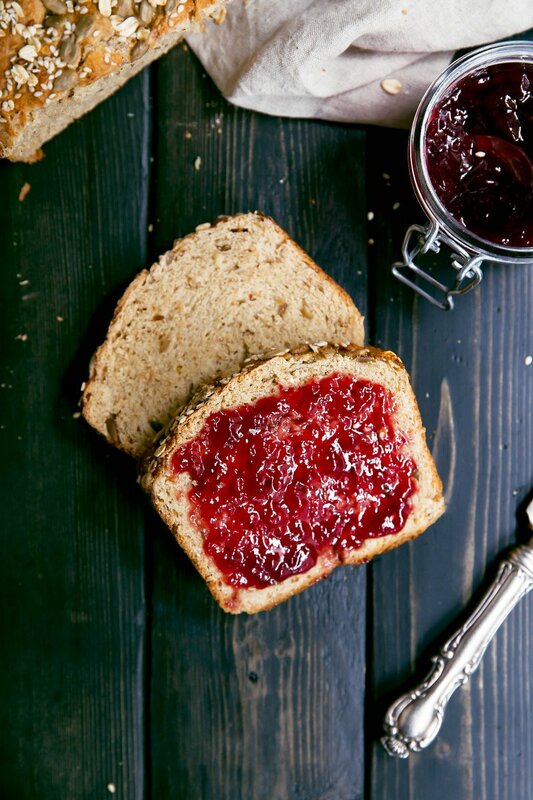 There’s nothing better than a breakfast bread. These pictures are also gorgeous!! This looks fabulous! I love that you and your grandma bond of cooking. Such a sweet connection! omg I want a sliceee!!! I love how this recipe is whole wheat, but still looks super duper soft. By the way, I like the background flowers in the photos – they make a nice touch. 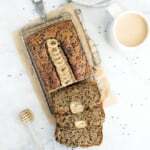 Could this recipe be made using a breadmachine? I haven’t tried it, but I want to! Y.U.M. I love the seed topping on this beauty of a loaf! So so happy you liked it! It’s my favorite when it’s toasted. We actually made an interesting garlic bread with it the other night. Grandparents are so special. I just lost my Grandpa. Cherish these memories, those letters, and sharing your passions together. This bread looks fantastic. can I be your grandmother when I grow up please? Oh and I need this bread ASAP! It’s been a while since I made bread at home. It’s my family’s favourite thing on a rainy Saturday, but I guess it’s not so much of a summer food. Now that the colder months are almost here, I’ll start to bake bread again. And why not start with a grandmas’ recipe? They are always the best ones. Unfortunately, my lineage has NO HISTORY of good bakers! Guess I’ll have to change that! 😀 but this looks incredible! I’ll veganize the recipe for my sister to eat! This looks wonderful! Hearty and whole. I’ve made this twice now. The first time, I used whole wheat flour and WHOA was it dense. Still tasty! Second time I used unbleached all purpose white wheat flour. The second time, it was the most gorgeous, fluffy bread ever. My kids (2&3) LOVE it with creamed honey spread on it. I’ll be making this for a long time. Thank you!!! My grandma will be happy to hear that!!! I wanted to let you know that since I originally posted, I have made this every single week for my kids. I turned it into a sandwich bread by substituting flax seed meal for the flax seed, and using a mix of white and wheat bread flour. I haven’t bought a loaf of bread in months, and I feel so good about this hearty, healthy bread. Thank you and thank your grandma for sharing this recipe. It’s in my recipe box with the exact title you have listed :). Thank you again! I love this recipe! Thank you so much! Can you make this in a bread machine? I’m going to try today and I’ll let you know how it goes. It looks like what I’ve been looking for. I made this today with quinoa instead of sunflower seeds (didn’t have any) and used whole wheat flour. It was very dense but both my husband and I loved it. So good and healthy! Thanks for the recipe! I love this recipe ! I made it in my bread machine as I was pressed for time and it was perfect. I used half whole wheat and half bread flour . I think it needs more salt and I’ll try with spelt flour. It yields the wonderful feel of whole wheat with no bitterness. I can’t believe how well this turned out the first time I tried it. Thank so much ! It’s exactly the taste and texture of a bread I had years ago and couldn’t reproduce. Hi, I would love to make this in my bread machine What size loaf did you set your bread machine for? Just made this today. Doubled the recipe to get two loaves. One is not enough for my family of 5. Used 1/2 AP flour and 1/2 whole wheat flour, added pepitas and used flax meal. I used buttermilk. Omitted the cinnamon. Turned out great. This will make great toast for breakfasts the next couple days. Will definitely be adding this recipe to the bread rotation. Next time I think I will quadruple the batch and make a couple of the loaves into cinnamon raisin bread. when your recipe calls for 2 3/4 cup flour do you mean 2 cups and 3/4 cup flour or 2 (3/4 cups)? Thanks! Cant wait to try this recipe soon! Hi Elizabeth, I think she means 2 cups and 3/4 cup of flour. Also, does anyone know if I can use Whole Wheat Pastry Flour? Thanks! Made this and it was absolutely fantastic! I love how you gave the alternatives (like coconut oil) because I didn’t have any butter on hand. This bread was SO SO SOOOOO good! I sliced it and froze some of it and it’s been great for toast right out of the freezer! Thank you for a super delicious recipe! This bread is the best bread recipe I’ve tried so far! I was pleasently surprised how even after a few days the bread still stayed soft. I bought a jar of yeast and on Pinterest, created a board full of recipes using yeast. My intent was to go through all the recipes, but after I made yours, I don’t know if I’ll continue going through all the other recipes! I used chia seeds and flax meal instead of sunflower + flax seeds, and used 2 cups ww bread + approx. 3/4 cup unbleached flour. Is it ok to use wheat flour? Your description of your relationship with your Grandma and of the bread has totally enticed me to try this bread!! I love the fact that you gave substitutes for dairy! My yeast doesn’t appear to be foaming. Got the temp right. What could be wrong? The bread looks tempting. Will want to try this recipe. Thanks for sharing! Sometimes this happens to me if I use too much flour. The amount you use depends on many factors–temperature, humidity, freshness of flour, measuring techniques, etc. Try cutting back just a little. It’s okay if the dough seems a little sticky at the beginning of the first rise. The whole grains absorb more moisture as it rises. If it is still a bit sticky when you form it into a loaf, use a bit of oil to grease the counter and your hands instead of using more flour. His bread cam out amazing, great recipe! 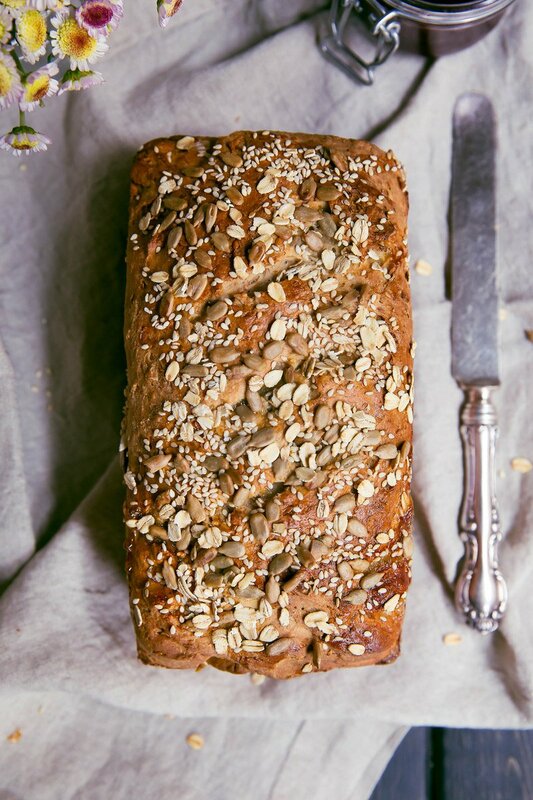 This is a great recipe, I baked this bread today and it is light and delicious. I used half unbleached flour and half spelt, it work really well. Thanks for the recipe. Andrew Reynolds:If you are correct then, at the very least, you can expect the new lot of â€œâ€¦kleptocrat croniesâ€¦â€ to be more aware of the ability of the people to put them in their place than Gaddafi ever was.If the Libyan people had actually been able to put Gaddafi “in his place”, perhaps. But actually Gaddafi’s eventual downfall will be the work of NATO. Any new kleptocrat cronies will be nervous about the people, but they’ll also think twice before doing anything that might inconvenience their Western cruise-missile-wielding overlords. And this has what to do with bread? Any thoughts on making this gluten free and what flour could be used ? Has anyone tried it this way? Hi, Monique!! Sarah strongly recommends this bread recipe, so I definitely want to try it. Thoughts on using whole wheat pastry flour (instead of white whole wheat? TBH, not sure the difference, but I assume it would be ok… Would love to hear whatchu think. TY!! whole wheat pastry flour should work just fine, but I recommend replacing the flaxseeds with flaxseed meal 🙂 xoxo! First time ever making bread and it was a success! Make sure the milk is not too hot otherwise it will kill the yeast (i had to start over). I made it at night and didn’t have time to wait for it to cool so I threw a light tea towel over it so it wouldn’t dry out (our home is very dry). Thanks for the great recipe! 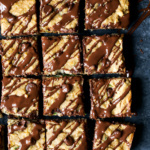 Does anyone know if you can make this recipe with almond flour and what the ratios would be?? You would have a brick if you used almond flour. There is no gluten in almonds. A gluten free bread is a very different process than a wheat bread. Is there something I can replace the egg with? I wouldlike to make it vegan. 🙂 Thanks! Can you make this in a bread machine? Hi Rachel! The ratios would actually be different in a bread machine – so I would not recommend it. Do you know if it is going to work with oatmeal instead of white whole wheat flour? 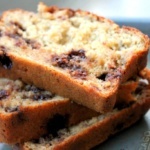 Hi Florencia – there is oatmeal in the recipe, but you also need the white whole wheat flour to ensure proper baking! Hi! Do you think this would freeze well? I live alone and typically store bread in the fridge/freezer to prevent it from going bad too soon! Hi Kelly! You bet – freeze it just as you would your other breads. Hi, if I don’t have instant Yeast can I use dry yeast? What is your Grandma’s name? I’d like to record this wonderful recipe under both your names. This bread is the first that I bake by myself, and I have to say that I’m quite proud of the result. I love your website as it provides healthier versions of some of the foods that I love. Thank you for sharing! Please extend my greetings to your grandma. Amazing! I’m so glad you enjoyed it. It’s my absolute favorite bread! I made this, sort of. Made in a large horizontal type bread machine. Used powdered milk, hot tap water, all liq. Ingredients mixed together. Used coconut oil. Added another quarter cup white bread flower during first mixing because it looked too wet. Bread rose and not top of bread maker and collapsed. Made a tasty but ugly loaf. More cinnamon than sunflower. Was great toasted with peanut butter and raisins. Thanks for sharing Grandma’s recipe. I haven’t tried that method (or powdered milk) but I’m glad it was still tasty! Has anyone tried to make burger buns with this recipe? If so, any suggestions for doing so? Can you use Greek yogurt or apple sauce to replace the oil? I haven’t tried it in my grandma’s traditional recipe – let me know if you do! This was the first loaf of bread I’ve ever made by myself and it turned out amazing! 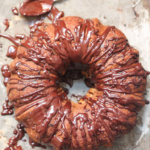 I substituted the honey with real maple syrup and replaced 1 cup of the whole wheat flour with organic rye flour. I added figs and chia seeds because I did not have flax seeds. I skipped out on the cinnamon as well. Served with butter, apricot jam and cheese – soo yummy! So happy to hear that Camilla! LOVE the idea of figs in here (and the apricot jam + cheese). Hi. Your recipe says 1 egg. When do I add it or was this a mistake? I just made my second loaf and the house smells delicious. 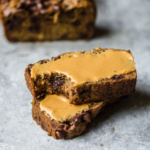 This bread in incredible, a wholesome breakfast bread to eat with your favourite compliment (mine is peanut butter). I freeze individual slices to maintain freshness and grab a slice each morning. I will certainly be making, making this delicious bread a routine. So happy to hear that Lea! I love this bread with peanut butter too 🙂 Best breakfast. I usually don’t stray from your recipes because they are ALWAYS delicious, but today I didn’t have any sunflower seeds, so i used walnut pieces. Then I thought raisins go great with walnuts so I added a handful. We will see how it turns out…fingers crossed. I made it with regular whole wheat flour and turned out AMAZING!From now on, this is my favorite whole wheat bread recipe ever. Thanks a lot! Perfect! Glad you loved this one! 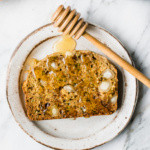 Hi… I really want to try your bread, however I cannot have honey and really don’t want the sweetness or extra calories from using another sweetener. Since this is a 1/4 cup of liquid in the recipe would it be ok to sub more almond milk for the honey? Thanks for your time. Unfortunately the bread is best as written. You could probably get away with using a tablespoon of brown sugar/regular sugar and be just fine.